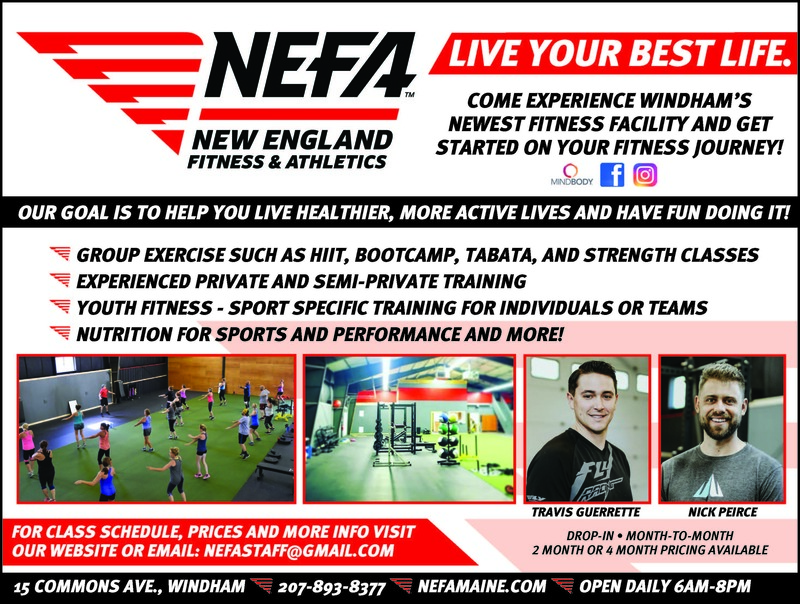 "Fitness for everyone” is one of the missions of the newest gym in Windham, New England Fitness and Athletics (NEFA) at 15 Commons Avenue. 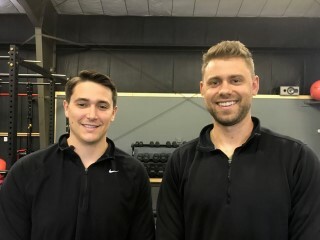 In a 6,000 square foot facility, they have divided the space into three sections: strength on one side, turf in the middle which is utilized for a multitude of classes, and the last third is used for functional training. NEFA moved into their space in mid-June and it has been fully renovated, including a new bathroom and changing rooms. There is a 14-foot garage door that can open for the trainers to use the back parking lot for flipping tires or other outdoor activities. “We touched every single thing in the room,” said Peirce. There are youth strength and conditioning classes broken into age groups starting at fourth grade through high school. According to Guerrette, “Each one has a different focus all working on using the body to gain strength or to help with athletic endeavors.” NEFA also works with nutritionist Tara Whiton, a PhD sports nutrition and performance consultant. The trainers bring up to date knowledge and experience, while offering a wide variety of training options. Classes include boot camps, HIIT training and Tabata and they are offered at many times throughout the day. Drop in on a class for $5 until the end of August. “Movement is the best medicine,” said Peirce. “And, a good, safe workout,” Guerrette added. To set up a training, send an email to nefastaff@gmail.com, call (207-893-8377), or visit www.nefamaine.com. Finally, watch for information on their grand opening event on Facebook and Instagram.